I grew up with a strong sense of social justice and civic duty. As a young Latina, I understood from an early age that standing up for my rights was something I would do my entire life. I wasn’t going to sit around and wait for someone else to fight for me. My mom set a great example. I distinctly remember her being actively engaged in campaigns for the local Community College District Board of Governors. She was an Executive Secretary at San Jose City College. She cared about the governance of the College. She knew the decisions of the board of trustees had a great impact on the college’s employees, its students, and the community. She couldn’t afford to make big campaign contributions like some, but she walked precincts, made phone calls and put her energy behind the candidates she supported. I asked my dad about it the other day. He said she used to make him go knock on doors with her. He couldn’t say no. He supported her in everything that was important to her. Seeing my mom involved in the political process at a young age had a strong influence on my career path and is one of the reasons I am such a passionate advocate today. Like my mom, I am highly engaged in the issues of the day and I fight for the causes I support. Voting is one important way we have to make our voice heard – a way to stand up for what we believe in and to be counted! I am keenly aware that not everyone gets involved the way I do, and many Americans take a much more passive role in the political process and choose not to participate. They think their vote doesn’t matter. It is unfortunate that they make this choice and leave the decision-making process in the hands of others. My concern is for the people who want to vote but can’t – people who have been disenfranchised by a complicated and opaque process that is at best unwelcoming to the uninitiated. All across the country there are headlines about processes that are causing the exclusion of voters – particularly Black and Latino voters. These draconian barriers, such as the absurdly strict voter identification laws being adopted in some states, are a stain on our democratic process and an unfortunate violation of people’s civil rights. Thankfully, California’s Secretary of State Alex Padilla has taken significant steps to make the voting process easier and more welcoming to all Californians. We are fortunate to live in a state where our leaders are seeking to make the process more accessible, and where significant barriers to voting have been removed. First, Secretary Padilla has championed a new online voter registration process. Californians are no longer relegated to filling out a voter registration form on a clip board in front of their local grocery store. Instead, you can visit www.registertovote.ca.gov to register. All you need are the last four digits of your social security number and your driver’s license number. You can complete the process in a matter of minutes. Second, Secretary Padilla supported a new vote-by-mail law that allows your vote to be counted if your mail-in ballot is post-marked on or before Election Day. This is a change from past elections when mail-in ballots had a different deadline than traditional in-person voting, resulting in tens of thousands of ballots being thrown out. Now, everyone has the same deadline to vote – Election Day. Third is the new Motor Voter law – only the second of its kind in the country. This progressive law will register to vote every eligible California citizen who goes to a Department of Motor Vehicles (DMV) office to get a driver’s license or renew one. Sponsored by Secretary Padilla and jointly authored by Assemblymembers Lorena Gonzalez (D-San Diego), Luis Alejo (D-Salinas), and Kevin McCarty (D-Sacramento), the bill was signed into law in 2015 and is being rolled out now by the DMV. According to a press release published upon its passage, the new Motor Voter law will help the 6.6 million Californians who are eligible to vote but are not registered. In its first year of operation, experts’ forecast that we will add two million new voters to the election rolls. Many of these new voters come from low-income families, are young, Latino/people of color. Secretary Padilla has shown tremendous leadership by advancing the voting rights of millions of Californians. I greatly admire his commitment to the people of our great state, especially those who are most likely to be marginalized by the process. One of the things I am very pleased about is the efforts of my own constituency -community health centers- and the leadership role they are playing in getting their communities registered to vote. Health centers have a long history of civic engagement that has been bolstered by federal requirements to offer voter registration when we enroll our patients into the Medi-Cal and Covered California Programs. Additionally, and in partnership with Community Health Vote and NonProfit Vote, CaliforniaHealth+ Advocates continues to support voter registration drives in community health centers this year. Our efforts include a campaign launching on National Voter Registration Day and runs through the last day to register before the general election (Sept. 27-Oct. 24). Through this campaign we hope to register thousands of voters who will advance the issues important to our communities. Approximately two-thirds of the six million health center patients are eligible to vote based on their age. While some of our patients lack citizenship and are not eligible, many more are. Health centers are uniquely positioned to support efforts to increase not only voter registration but also voter turnout. Health centers are familiar and trusted sources of care in their communities, and they also provide additional supportive services, education, and outreach to their patients – often in a language other than English. These are all exciting innovations that empower disenfranchised communities like those I have dedicated my life to serving. Unlike other states, California is breaking down barriers to voting so that everyone has the opportunity to have their voice heard. Community health centers are stepping up and doing their part to support the community’s right to vote. We cannot afford to be silent and we must participate in the democratic process if we want our issues to be heard. Like my mom, we have to stand up and do our part to advance the causes of justice that are so important to our community. 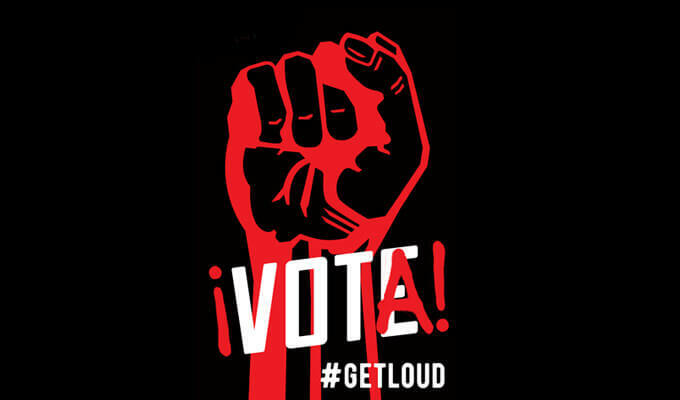 We have to engage – we have to fight – we have to vote! It is our civic duty.